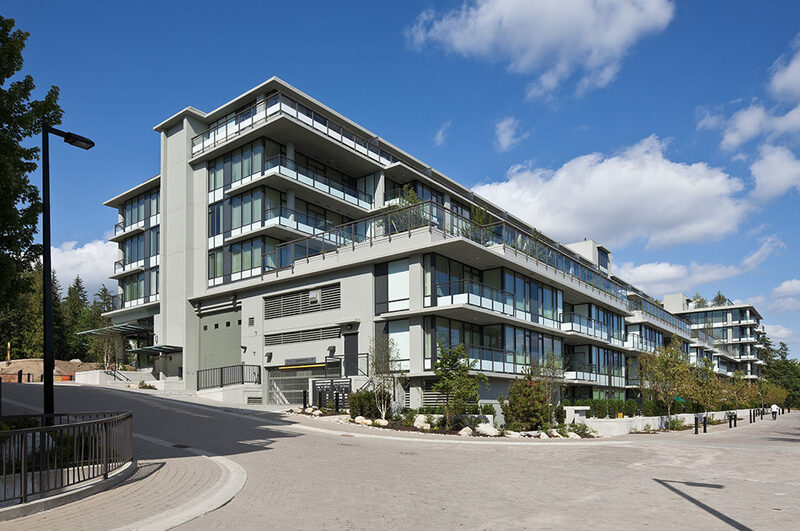 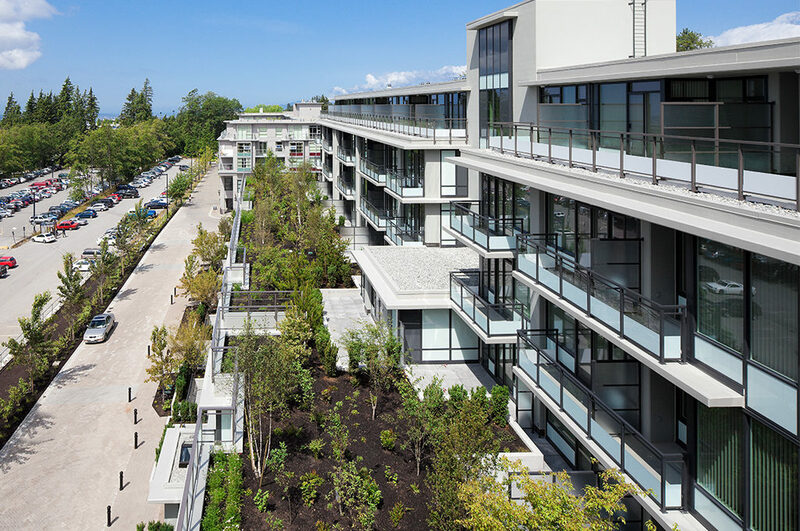 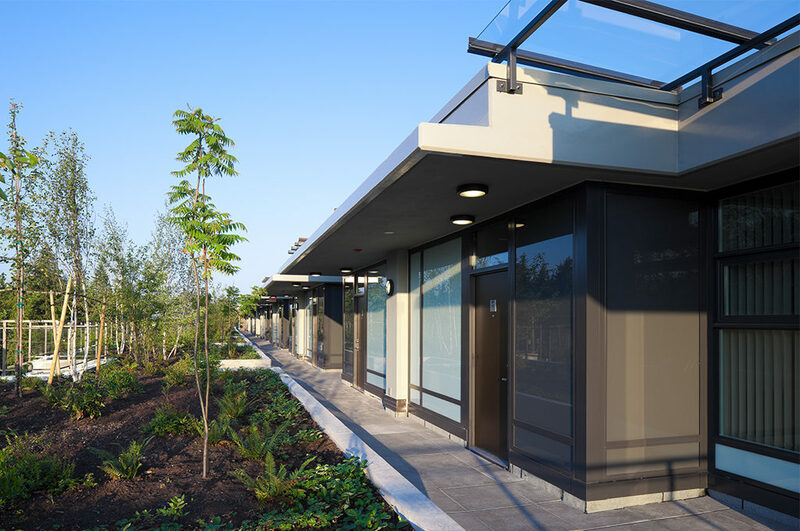 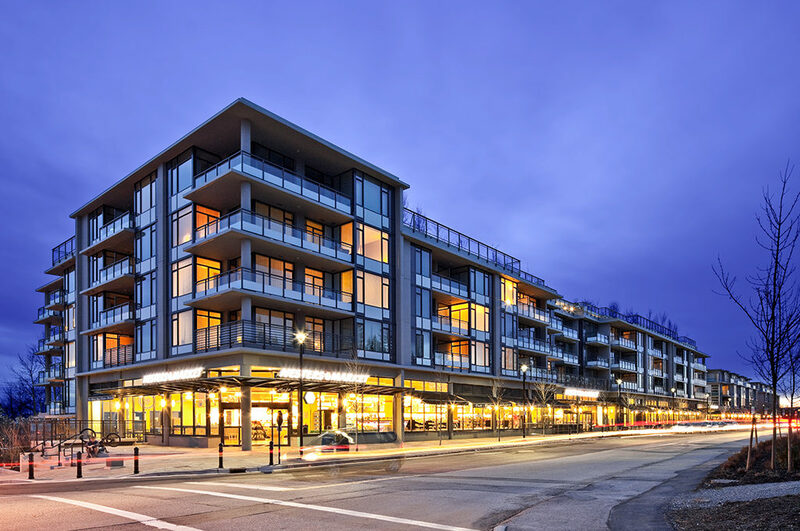 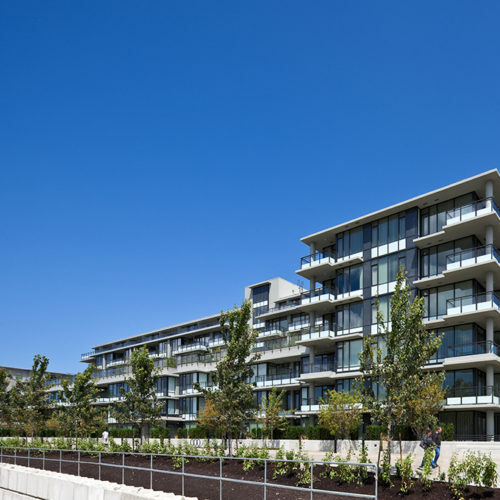 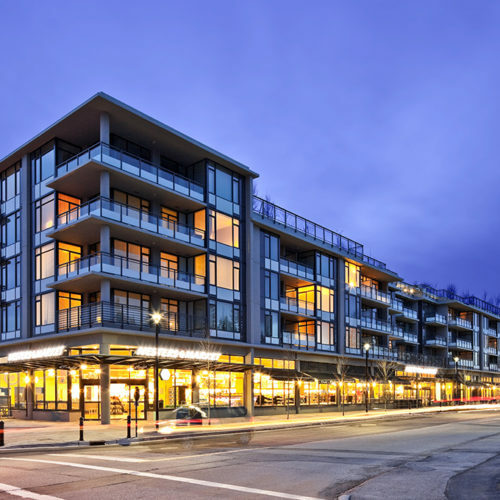 Located in SFU’s UniverCity community on Burnaby Mountain, The Hub is a seven storey mixed‐use development comprised of 15 two‐storey townhomes, 131 apartments and a Nesters Market grocery store measuring approximately 22,000 square feet. 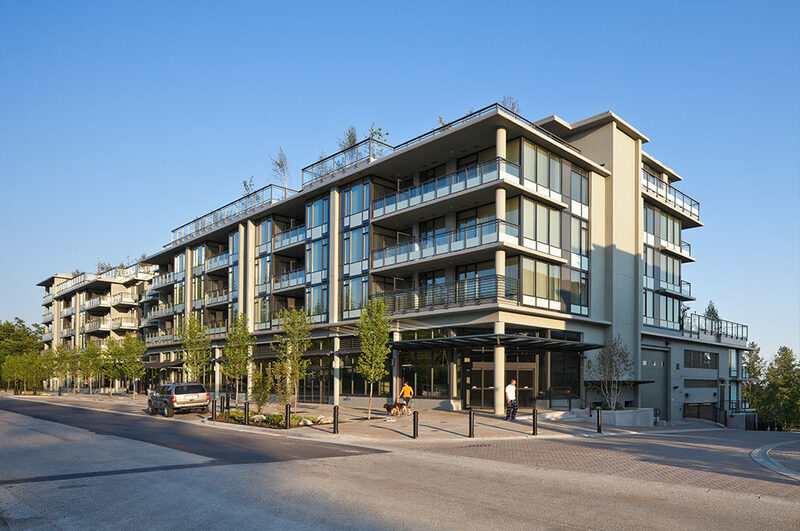 The Hub is a contemporary mid‐rise, positioned at the gateway to UniverCity’s High Street district. 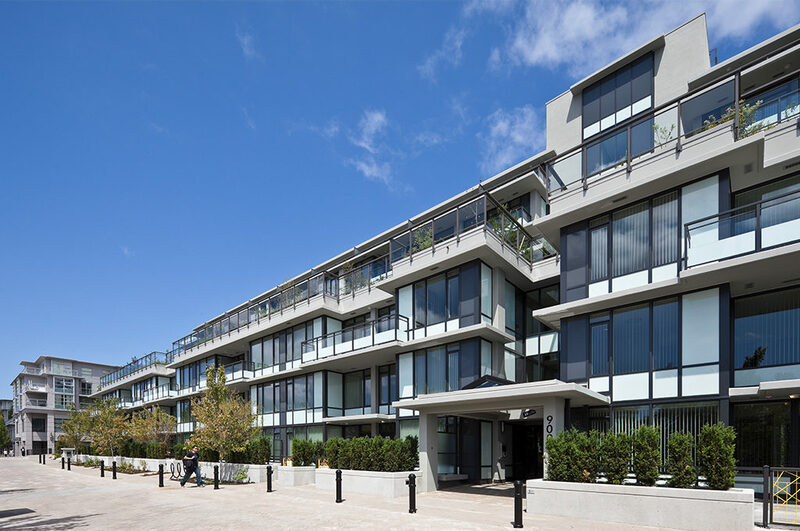 The exterior expression is defined by expansive windows, strong concrete accents and a cool colour palette. 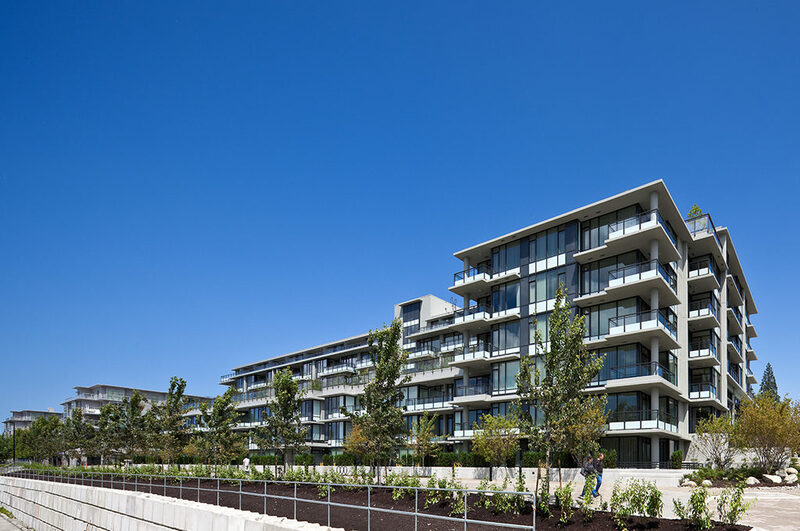 At roof level, extensive gardens complement the natural landscape of Burnaby Mountain. 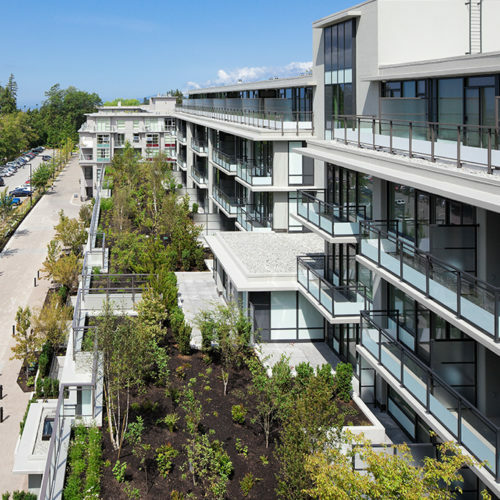 Underlying the modern design is progressive urban planning that creates safe and welcoming streetscapes. 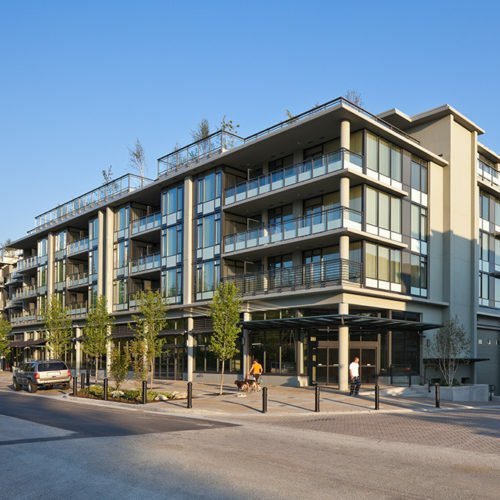 The building addresses its surroundings with townhomes facing the pleasant Cornerstone Mews and a vibrant neighbourhood grocery store along the bustling High Street. 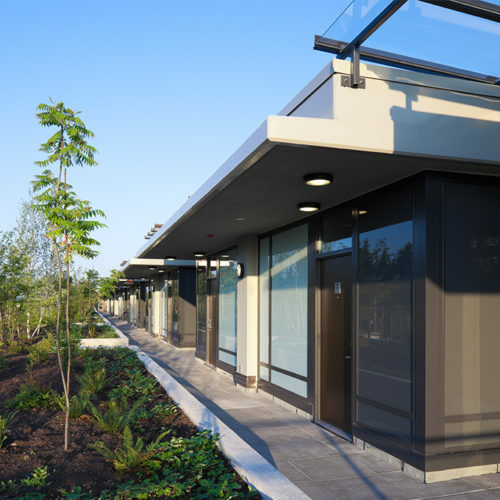 On all fronts, The Hub stands ready to invite people in. 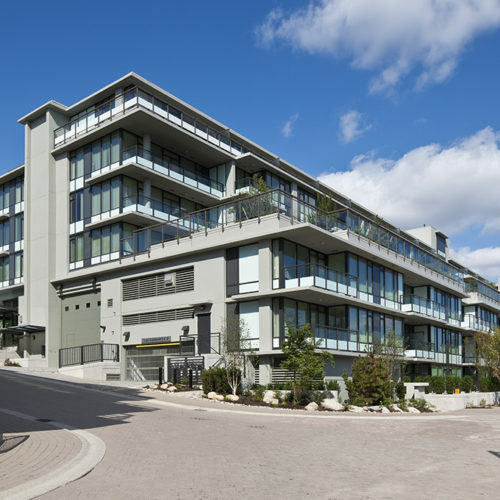 Liberty developed The Hub in accordance with the Canadian Green Building Council’s LEED Silver standard. 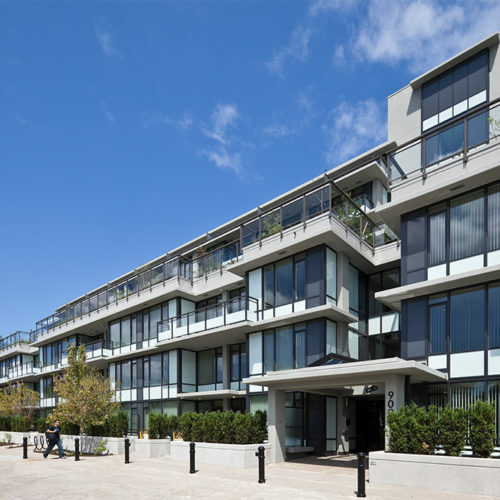 Final certification was achieved in 2012.